CONCOR Recruitment Notification 2017: Want to get a job in Navratna Company then check this article and apply for these positions before the last date of the application form. Recently, Container Corporation of India (CONCOR) has published a recruitment notification to recruit the hard-working nature aspirants into the organization for 16 Apprentices Vacant position in different Trades like Electrician, Mechanic Refrigeration and Air Conditioning, Mechanic Diesel, Surveyor, Secretarial Assistant, Information Technology and Electronic System Maintenance, and Programming and Systems Administration Assistant Discipline. Aspirants who are ready to make their career with the Container Corporation of India (CONCOR) can apply for these jobs before the last date of the application form is 15-10-2017. Applicants can get the official CONCOR Recruitment Notification 2017 from the below section of this page. So we suggest the aspirants keep in touch with us to get updated information about the CONCOR Recruitment Notification 2017. As per official CONCOR Recruitment 2017 Notification candidates those who are willing to apply for these CONCOR jobs they must obey the eligibility criteria as per rules. Participants who satisfy the eligibility as per Container Corporation of India notification they can apply for these openings before the closing date of the application form. Applicants who have completed the Passed 10th class examination under 10+2 system of education with Trade Certificate in relevant Discipline with a minimum of 50% marks in qualifying exams are eligible to apply for the CONCOR Recruitment Notification 2017. While the age limit of the candidates should not exceed 21 years as on 01.10.17. For more information about the age limit and age relaxation read the notification which is attached below sections of this page. If you are willing to check other State and Central Govt Job Notifications then check our sarkarirecruitment.com to get day to day updated information about the recruitment. There is no specification of application fee in the official recruitment notification. To confirm the details about the examination fee read the notification or visit the official web page of the Container Corporation of India (CONCOR) @ www.concorindia.com. You have to remember that officials will conduct the selection rounds to recruit the aspirants into the organization. Applicant need to attend the Interview as a part of the recruitment process. Candidates those who got recruited they will get the high pay as per rules. So check this page to get updated information about the Salary details. You can also check the Syllabus for other State Govt Jobs. If you want to participate in this recruitment you have to obey the educational qualification according to the CONCOR Recruitment Notification 2017. Applicants who have completed the Passed 10th class examination under 10+2 system of education with Trade Certificate in relevant Discipline with a minimum of 50% marks in qualifying exams are eligible to apply for the CONCOR Recruitment Notification 2017. For post wise qualification read the CONCOR Notification by clicking on the below links. The age limit of the candidates should not exceed 21 years as on 01.10.17. For more information about the age limit and age relaxation read the notification which is attached below sections of this page. There is no specification of application fee in the official recruitment notification. To confirm the details about the examination fee read the notification or visit the official web page of the Container Corporation of India (CONCOR) @ www.concorindia.com. You have to remember that officials will conduct the selection rounds to recruit the aspirants into the organization. Applicant need to attend the Interview as a part of the recruitment process. Mathura Road, New Delhi – 110076. Container Corporation of India is very much reputed as CONCOR. It works with an objective to be a customer focused, performance driven, result oriented organization, focused on providing value for money to its customers. It is one of the company among the other Navratna’s. So it has recently released announced CONCOR Recruitment 2017 notifications to fill up Multiple vacant positions throughout the country in various Departments, So candidates who are looking for the Central government jobs can apply for these positions on or before the last date. As we all know there is heavy competition for the central government jobs we insist the candidates prepare well and also to apply only if they think are eligible for that particular position. CONCOR Recruitment 2017 will be a golden opportunity for the job searchers as there are numerous openings in this Central Government Organization. And Candidates can now apply for their dream job without hassle as we updated all the required additional information, especially for the candidates. So you can get all the minute details here further in this post. In this post we updated information like Posts Details, Number of Vacancies, Age limit, Age Relaxation, Applying link, Start Date, and Last Date to apply etc., all about the CONCOR Recruitment 2017. And candidates who are interested in state government jobs and other Central Government organizations Openings can now check them on our site ie., Sarkari Recruitment f0r more Detailed and Accurate Information. Malcolm McLean’s idea of containerization changed the basics of cargo transport by standardizing the dimensions of the container and simultaneously improving the productivity of ports by mechanizing handling of container-carrying ‘cellular’ ships and reducing their handling to a few hours only. Unitisation helped elimination of multiple handling of cargo and made transfers quick, cheap and easy. As containerization came to stand for ‘cargo care’, it grew by leaps and bounds the world over. Container Corporation of India Ltd. (CONCOR), was incorporated in March 1988 under the Companies Act and commenced operation from November 1989 taking over the existing network of 7 ICDs from the Indian Railways. From its humble beginning, it is now an undisputed market leader having the largest network of 66 ICDs/CFSs in India. In addition to providing inland transport by rail for containers, it has also expanded to cover management of Ports, air cargo complexes and establishing cold-chain. It has and will continue to play the role of promoting containerization in India by virtue of its modern rail wagon fleet, customer-friendly commercial practices and extensively used Information Technology. The company developed multimodal logistics support for India’s International and Domestic containerization and trade. Though rail is the mainstay of our transportation plan, road services and also provided to cater to the need of door-to-door services, whether in the International or Domestic business. CONCOR is committed to providing responsive, cost-effective, efficient and reliable logistics solutions to its customers. It strives to be the first choice for its customers. CONCOR is a customer focused, performance driven, result oriented organization, focused on providing value for money to its customers. Container Corporation of India Limited (CONCOR) is going to generate a notification to recruit many vacancies. Job searchers can apply for them according to their qualification and eligibility which are updated below in this post in a detailed manner.The competitive written exam and personal interview will schedule by an authority for final selection. If any type of dispute and query arose with regard to open Container Corporation of India Limited posts, the decision of Managing Committee of CONCOR Recruitment will be last. Management Trainee (Civil): Graduation in Civil Engineering with the minimum 60% qualifying marks. Management Trainee (Civil): Upper Age Limit will be 45 Years. Management Trainee (Civil): Rs.16,400 to 40,500 per Month. 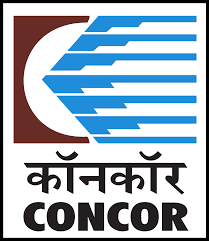 Interested and Eligible candidates who are interested in CONCOR Recruitment, may apply online through Container Corporation of India official website HERE. At last, take a printout of the form for further use.